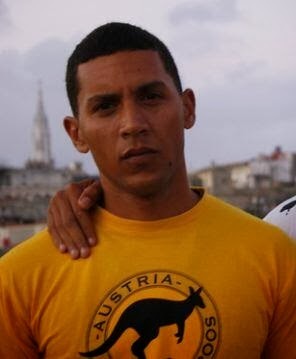 Cuban dissident and rapper Angel Yunier Remón Arzuaga, whose stage name is "el Critico del Arte" (the 'Art Critic'), was tear gassed and arrested on March 21, 2013, for criticizing the Castro regime. He is still in prison without charges six months later and officials had denied his wife, Yudisbel Roseyo, the right to visit her husband. This changed now that her husband's condition has become critical. After over six months of arbitrary detention where he has suffered beatings, a bout of cholera, and harassment Angel Yunier Remón Arzuaga began a hunger strike. On the night of Monday, October 28th, a doctor from Las Mangas Prison called Yudisbel to inform her that her husband was refusing to accept an IV as a form of protest and that he was in a critical state. Yudisbel was able to sustain a brief conversation with him but barely understood what he was saying, except for a phrase where he affirmed that it’s either “freedom or death” for him. After a number of hours, a group of doctors picked Yudisbel up from her home and took her to the prison, where she was able to briefly see Yunier. The rapper accepted an IV at that moment and when he had a bit more energy he told his wife that he had been beat 2 days prior and reaffirms his pro-freedom position. On her part, Roseyo Mojena has said that she will also continue “on the streets” and although she is deeply worried for the life of her husband, she said she is supporting his struggle. The couple has a 9 month old son. Angel Yunier is not the only Cuban rapper persecuted for dissenting from the official line. 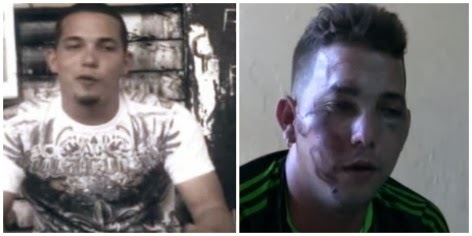 Rodolfo Ramirez, known by his rapping name as El Primario was the victim of a brutal beating which left him with memory loss and serious injuries on his head. The attack occurred on Sunday, July 21, 2013 at the Havana sea wall.